A much anticipated rematch between Tiger Muay Thai & MMA Phuket’s fighter/trainer Rafael Pinto (18-4) and 31-year-old Thai native, Salatan didn’t disappoint as the Brazilian fought his way to yet another victory. “I was very motivated for this fight and to win, I have no reasons to lose. I fought him before so I know how he fights,” said Pinto, who is also a Brazilian Jiu Jitsu trainer at TMT, after the fight. The fight started out with a slow burn as both men clearly had the mentality of getting into a chess match. When one man threw a punch, the other was ready with a low kick. 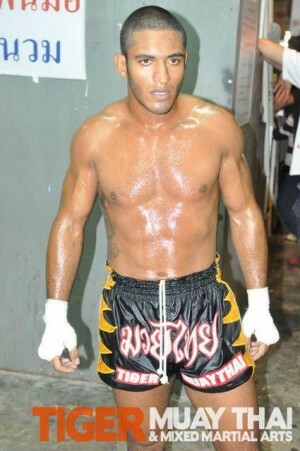 Salatan, whose over two hundred fights includes a 3rd KO loss at the hands of Pinto last year, constantly attacked the Brazilian’s right leg with sweeping kicks. “I try to stay away from his low kicks, I know he likes that a lot, so I made sure he didn’t hurt me so I can last all the rounds” Pinto said. During the 3rd round, Pinto was forced to the ground after going for a clinch. Pinto returned the favor later in the round during a scuffle. Eventually both men traded knee shots in the clinch, with Pinto peppering in some hard elbows to Salatan’s head. By the end of the 4th round, it was clear that Pinto was gaining the upper hand with several fake outs and kicks to the head. 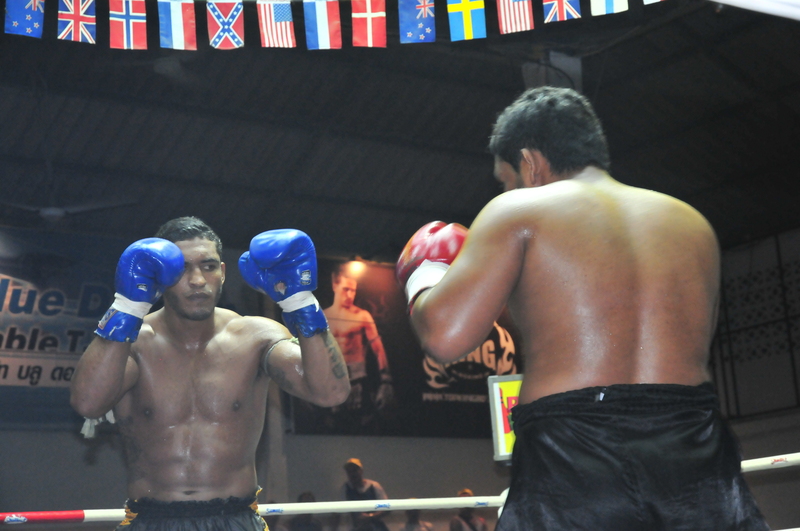 This is Pinto’s first of three upcoming fights before he makes his way to the Queen’s Cup this August in Bangkok. He has another fight scheduled in China later this month.